Herbs form an intrinsic part of a variety of culinary preparations. In addition to the flavour, these culinary herbs are said to preserve and enhance the properties of the food. From healthy gut to stronger immunity, benefits are quite a lot. They are an excellent source of vitamins, promote blood flow and are used in aroma therapy. If you have never folded fresh or dried herbs into your dishes, let today be the day. They are a delight to make every dish gorgeous and add fresh notes to it. The true power of herbs lies in their wealth of polyphenols. Polyphenols are the plant compounds with potent antioxidant and anti-inflammatory effects. They help combat such diseases as cancer, Alzheimer’s, diabetes, heart diseases and more. Polyphenols are anti-microbial, so they can help protect us from harmful bacteria as well. Oregano: It is one of the most recognised herbs in the culinary world. Oregano adds plenty of taste to food. What is known as ‘Italian Oregano’ is actually a hybrid of oregano and marjoram, which gives it a sweeter flavour. Though it is used in Italian cooking but it also makes an appearance in many Mexican and Spanish dishes and can be used to add flavour to almost any food. It is perfect for seasoning most foods that contain olive oil. Be sure to crush it between your hands first to make the pieces very fine. Cilantro: Also known as green coriander leaves, this herb has a distinctive taste that is best described as a fresh green spice. With its refreshing, cooling taste, it is easy to see why cilantro is used with the spicy dishes so common to Indian and Latin cuisines. The fresh leaves can be rinsed, patted dry and chopped before adding them to a variety of dishes. Cilantro can be used fresh or it can be dried for long term use. Basil: Basil, a member of mint family is closely identified with Italian cooking, although it originated in India. The extreme aromatic leaves also have a delightful flavour from the slightly lemon-mint of sweet basil to cinnamon. Basil is added at the end while cooking to keep its fresh taste and colour. It can also be used fresh in salads, on sandwiches or even inside wraps. It can also be dried or frozen for use after harvest. Lemon grass: This herb is native to South India and Sri Lanka. The plant’s stalk is a common ingredient in Asian cooking. Lemon grass tea could be a beneficial drink for people to incorporate into their daily diet. The herb has a distinct lemon aroma and flavour with a great zing. It is a popular culinary herb in Asian cuisine and used to add lemon flavour to soups, stews, curries, vegetables and rice dishes. In cooking it is prized for its high tart citrus-like flavour with notes of pepper. It can be used fresh or dried to flavour stir fries, pickles and salads as well. Lemon grass is also commonly used to season coconut milk in which chicken or fish is processed. Mint: It is one of the most common herbs grown and used across the world. Menthol is the core ingredient of this fresh, flavoursome, lush green herb. 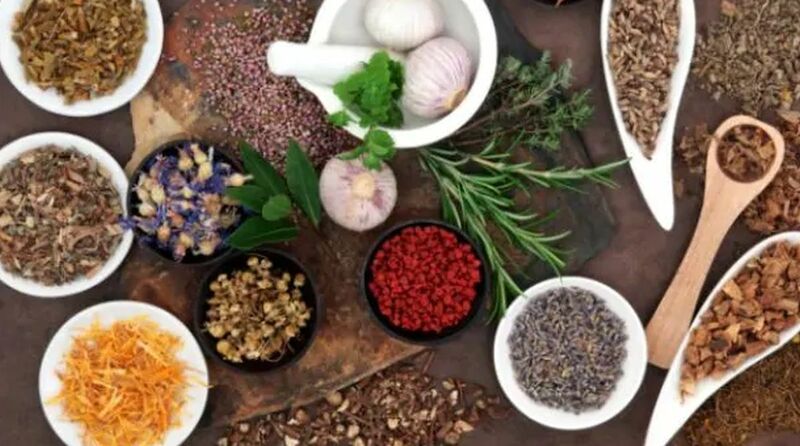 Due to its most flexible flavouring agents among all the herbs – it can be used in a variety of dishes starting from appetisers to main course and desserts to beverages. So you can add them in soups, salads, cocktails, mock tails, teas and more. Mint has long been revered for its ability to treat stomach woes and research has even linked it to treating Irritable Bowel syndrome (IBS). It also makes a great addition to a green smoothie. Fresh mint has a stronger, sweeter and earthier taste. Make herbs a staple on your grocery or local farmer’s market list. Using them is one of the easiest ways to take a dish from basic to brilliant. They are often used at the end of recipe. You can easily find healthier and smarter ways to incorporate them in various dishes.